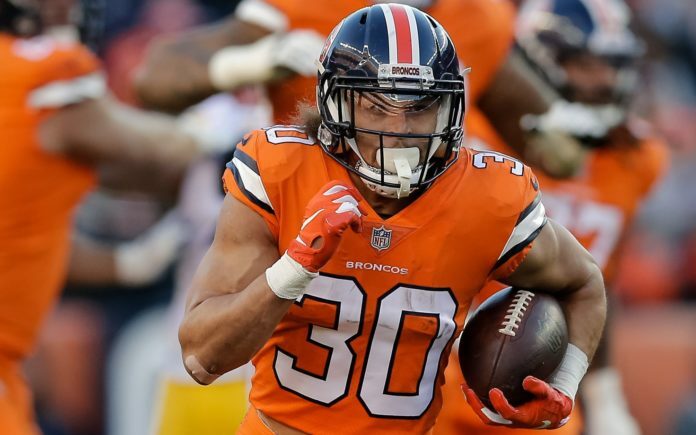 Phillip Lindsay runs against the Steelers. Credit: Isaiah J. Downing, USA TODAY Sports. Denver Broncos head coach Vic Fangio and general manager John Elway had comments over the weekend on a number of topics surrounding the Broncos as they continue through the offseason that covered the players they’ve picked up in free-agency, potential draft picks and a health update on key players. 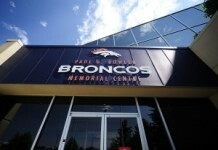 Broncos Blitz podcast host Ronnie Kohrt breaks down the comments including Fangio updating the status of Phillip Lindsay and Bryce Callahan, who are both expected to forgo the first ‘mini-camp’ just before the NFL draft, as first reported by Nicki Jhabvala of the Athletic. 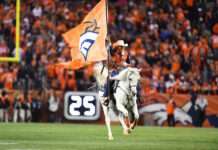 Fangio said he doesn't expect CB Bryce Callahan (foot) or RB Phillip Lindsay (wrist) to participate in the first minicamp, just before the start of the draft. The Broncos also will play host to some of the top quarterbacks in the country for their top-30 visits as Kyler Murray, Drew Lock, Daniel Jones and Dwayne Haskins make their case to be the future of the Broncos. Kohrt talks about that and much more on the latest Broncos Blitz podcast.